Back in January I was at the SECC in Glasgow to visit the Scotland's Speciality Food Show. This annual trade show, which has been running for nine years has over 130 companies exhibiting all types of speciality food including gift food, bakery, cheese, cooked and cured meats, chutneys, preserves, oil and vinegars, herbs and spices, confectionery, tea and coffee, beers, spirits and cordials. It's was a busy three days inside the SECC as 1000 trade buyers from department stores, farm shops, delis, food halls, restaurants and hotels descended on Glasgow looking to find new products to stock in their premises. The show is more laid back the other foodie events like BBC Good Food Show or Ideal Home Show Scotland which gives the producers the chance to chat with prospective buyers and sell the benefits of their products as well as take time out to chat with Gerry's Kitchen about it their plans for the future. One of the producers that I was able to catch up with was Fife based Michelle Wilkinson who runs The Very Lovely Sauce Company. I first met Michelle a couple of years ago when she was co-owner of The Little Herb Farm and had been chasing her up to answer 5 Questions back then so was surprised to hear how things had progressed but please that she had found a way of keeping her creativity within the food and drink industry. A few of years ago we had friends over for Sunday lunch. I had the main meal sorted, but it became apparent at the end of the meal, actually it was right when I heard ‘What’s for pudding Mummy?’, that I realised hadn’t given thought to anything other than the main course. Aside from ice-cream (vanilla only) the cupboard was bare, so I decided to run with it but make it a more attractive offering, pimp it up a little, by whipping up some sea-salted caramel sauce. 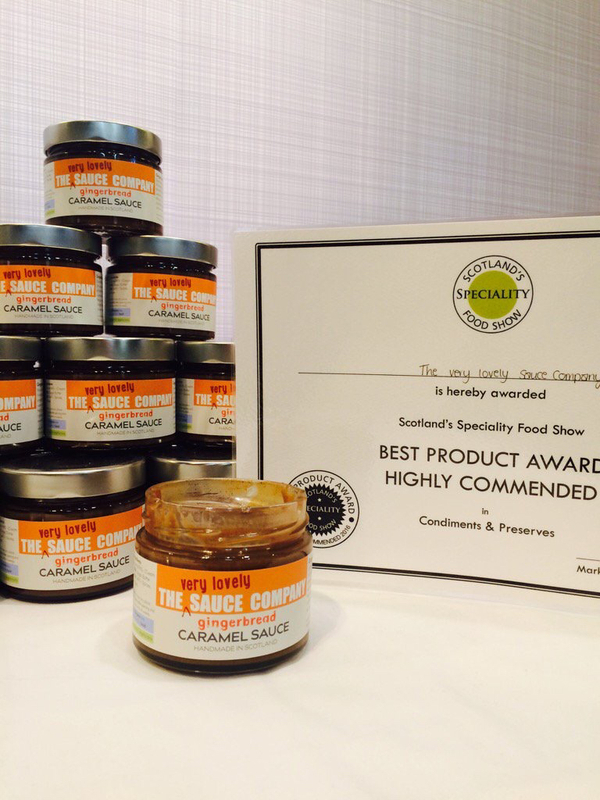 It went down really very well, so on the back of the sauce success I felt inspired to create a caramel sauce business. I did much research, blind tastings, pricing and calculating but realised I was a bit low on the bravery front, so then did nothing. A bit of time passed and a business partnership with a friend followed. After fifteen months together when she expressed an interest in owning the whole business, I agreed and sold my share to her. After a few weeks of wondering what I would do next I realised that maybe now was the time to create my sauce business, since I now had both experience and bravery. I ‘googled’ The Very Lovely Sauce Company, the name I had thought of years before, and both the .com and .co.uk domains were available, as was the limited company. I decided it was a sign, it had to be, and definitely wasn’t anything to do with the fact that no-one wanted to call their business that bonkers name……and so my business was born! Always be brave enough to do things that you want to do. Supplying delicious sauce to everyone, everywhere. 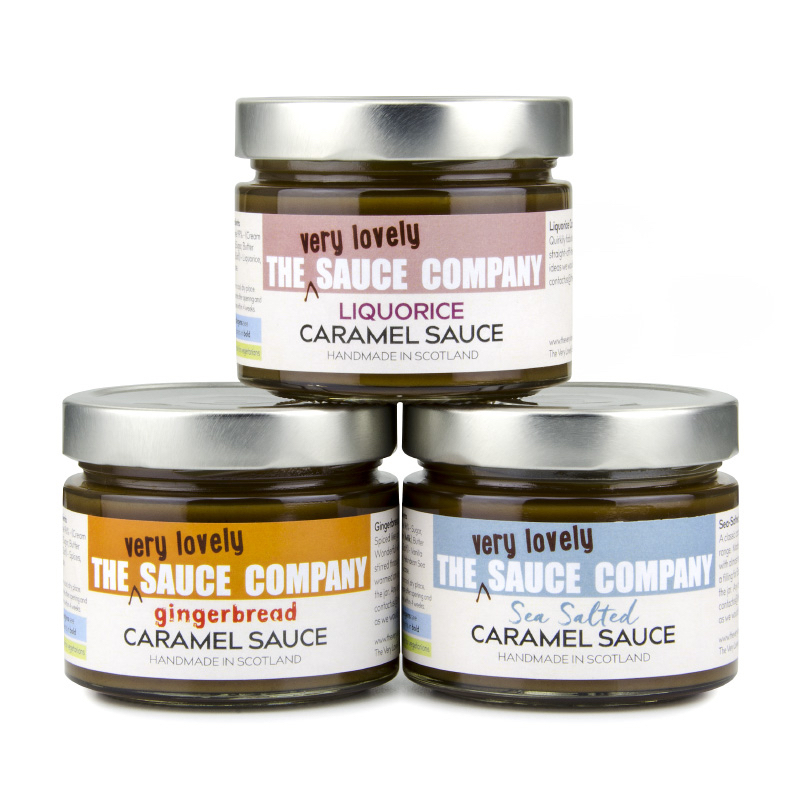 Eeek, this is difficult as there are currently just three sauces in my range, they all have their own merits and I like them at different times for different reasons….so if I had to pick one then (not wanting to show favouritism as they are all lovely to me) it would have to be the Liquorice Caramel. On tasting it gives a full caramel flavour and leaves you wondering where the liquorice is and then, a fair few moments later, the woody depth comes through, as though you ate a particularly strong bit of liquorice about half an hour earlier, and it stays for the longest of all times. When I am ‘in production’ I have to taste every batch of sauce made, I just take a dip not a big old spoonful, but by the time I am up to batch fourteen of the Liquorice Caramel the lingering flavour is so strong I have to call a friend step in as a Senior Taster as it’s just not possible to taste it anymore (because the flavours of all the earlier bathes are still right there). It’s maybe not a flavour people would use as their ‘go to’ option but it’s definitely worth taking the risk on as tastes just fabulous on a proper plain vanilla ice-cream. 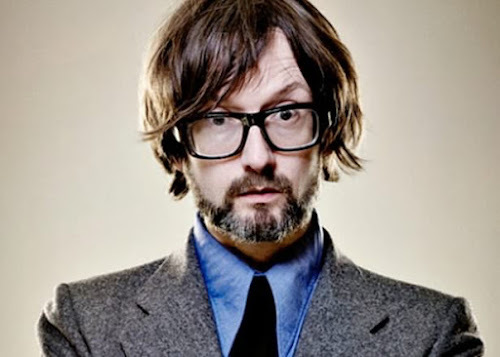 I think I would like to spend time with Jarvis Cocker. If I was on a desert island I would just take a stack of Pulp cd’s with me, this would more than make up for the lack of a television as each of their songs is like a fabulous mini British independent film. I would love to ask about the back-story on each song and see if my interpretation of them was right. 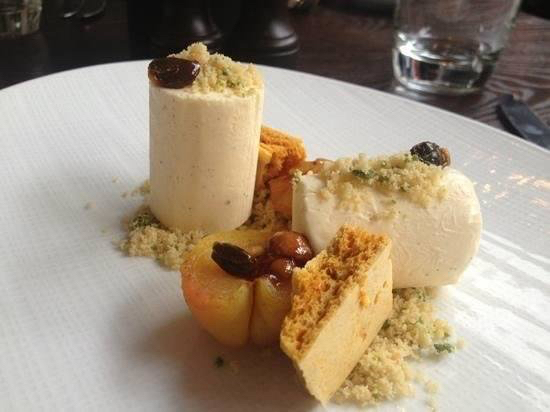 I would want to eat the fabulous Quail’s Egg Benedict that they have at The Peat Inn to start, then I’d go all Abigail's Party with Lobster Thermidore and finish up with whatever amazing parfait The Adamson currently has on their menu. I'd like to thank Michelle for taking the time to answer 5 Questions (and for sends my me a jar of Gingerbread Caramel Sauce) and also wish her all the best for the future although after picking up the award for best product at the recent Scotland's Speciality Food Show, I'm sure that it's only a matter of time before you find The Very Lovely Sauce Company jars on the shelves of your favourite supermarket. In the meantime, you can find your local stockist by checking the website. Keep up to date with all the news from The Very Lovely Sauce Company on Facebook and Twitter.